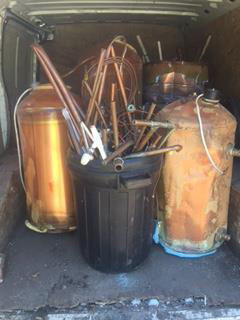 Here’s some copper metal we recently purchased in Kings Lynn. If you run a business in Cambridgeshire and are looking to get rid of some scrap metal get in touch with our team today. We work with commercial customers in Cambridge, Ely, Wisbech and Kings Lynn and pay top prices for all non-ferrous metals. Contact us today on 07989 445 726.